Following Celia’s footsteps once more, I share with you what is going on in our kitchen this month. In My Kitchen…. A little celery miracle! Homemade pain de mie, recipe from The Bread Bible, by Rose Levy Beranbaum, perfect to spread with any of the tasty concoctions by American Spoon, from Michigan. (I don’t work for the company and have not received any freebies to evaluate and/or promote). In My Kitchen…. 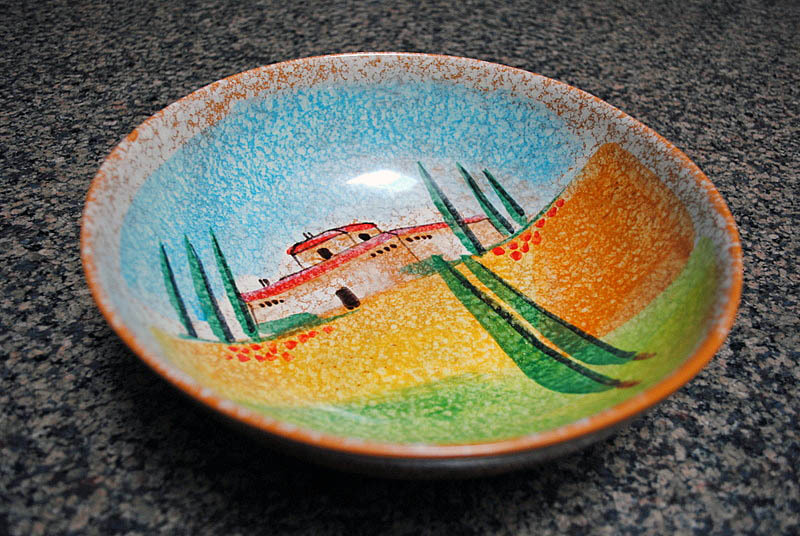 one of my favorite bowls, made in Italy, with a nice image of Tuscany. Just looking at it makes me happy! 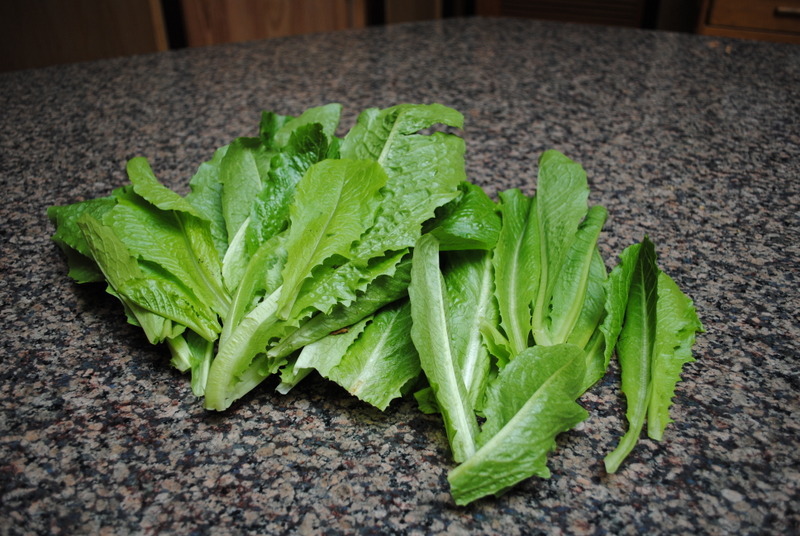 Romaine lettuce, picked from their garden just a couple of hours earlier! In My Kitchen…. A new passion, hibiscus flower tea! I was intrigued by this post and could not rest until I got some hibiscus flowers to play with. The color of this tea is amazing… stay tuned to hear more about it. 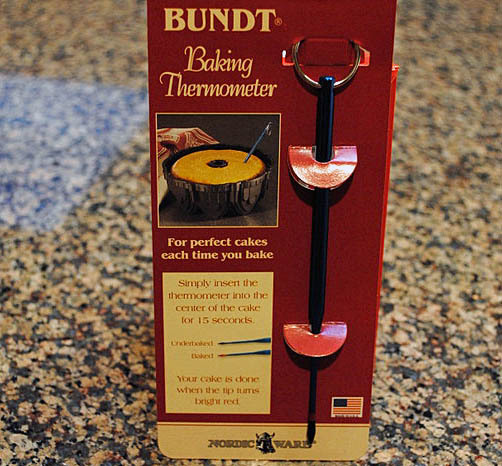 A bundt cake tester with a probe that changes color when the cake is perfectly cooked in the center. Yeah, I need all the help I can get as far as cake baking is concerned. 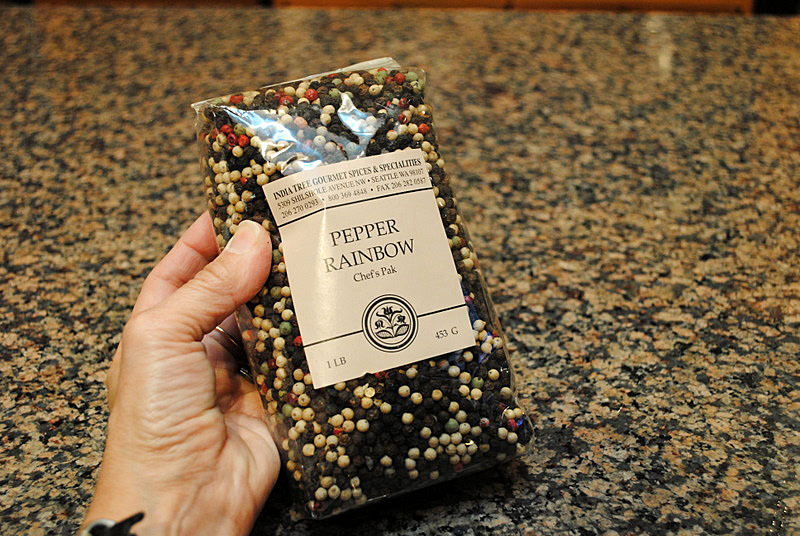 In My Kitchen… especially for Codruta & Smidgen…. and, finally… from the backyard, two cool dudes wanted to say hello and hope that you enjoyed this little tour through their favorite spot in the house! 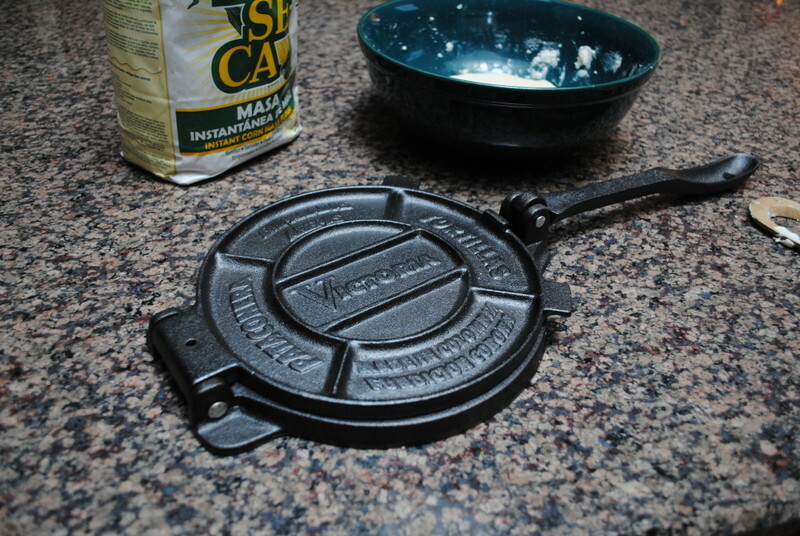 I have a tortilla press but I haven’t used it yet. I look forward to your post. Hey Sally, that celery is so cute! I didn’t have any luck the first go round last year and never tried it again. The water got swampy, then again I never succeeded with an avocado seed either…I love my “city” pots of lettuce that were on sale for about $4.98 and I’ve had lettuce for weeks and more to come. When you have a minute, I was trying to create an index and I’ve had no luck, the instructions that I have are too involved and I just quit, any ideas? BTW love the dogs! Well, before you go into full panic mode, I advise you to go to the support forum and see if things changed recently, WordPress is always adding stuff, so maybe by now they got something in place to make life easier. and any text you want to explain what it is and then it will give you a list of all your posts with the most recent at the top. You can then cut and paste them into other lists on other pages manually. I have started this a few times and never finished it…. Have you tried the red hibiscus tea with any of the recipes using it from Radically Simple? WOW! I had no idea about the celery… how cool is that? Now I only need to find myself a garden… our golden has completely destroyed all signs of life in our yard…(let’s just say we are prime Cesar Millan candidates). Do you know that my mom spent about 30 years trying to grow an avocado plant by placing the pit in water… poor dear, I think she’s still waiting. You need to get an avocado from a natural food store, and hope that they had not been irradiated, which prevents the seed from sprouting. we succeeded with avocados a couple of times, but it was before we went to Paris for a sabbatical, and we gave the plant to a former student. No idea if it’s still alive. Your celery looks great. You could also try it in a pot if you think that might be safer (from “the boys”) than your garden. I have one in the garden and 2 in a bowl awaiting planting. The one in the garden looked a little sad when I got home from California but it looks better now. 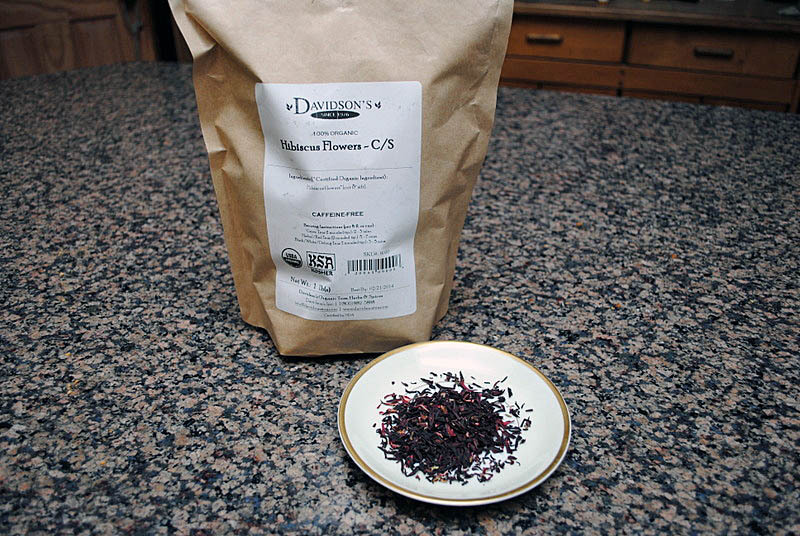 I bought dried hibiscus at the Buy for Less on Pennsylvania to make hibiscus salt. It was very inexpensive there. Thanks for the proper credit – I remember you mentioned that discussion, but I completely missed it. I love the celery- I’ve been reading about it – but haven’t tried it yet- I do the same with scallions- cut off the green and place the heads in a glass of water and the greens grow back- to be chopped off once again! I love your kitchen tour- I like to mix up my teas a bit with raspberry leaves, dried cherries, and hibiscus as well- it feels so much more Mine when I tailor it to fit my own tastes! Scallions work too? WOW! I will definitely try that next – actually I think I have some scallions in the fridge, I could go for it this weekend! I’ve been drinking 4 to 6 cups of herbal tea daily, or green tea, decaf. Cannot get enough of it. Hello Oscar and Buck!! and Hello to you Sally! I love that Homemade pain de mie and would love a slice this morning with my jam.. how ever did you slice such a perfectly thin piece? Mine end up being lopsided thick wedges with slivered ends.. lol! Happy Easter!!! Can’t wait to see what you do with your tortilla press! Secret for the thin slice: a FANTASTIC bread knife that my beloved husband gave me when I started making sourdough boules on a regular basis. Without it, impossible. Hahahah.. shhh, someone is listening!! 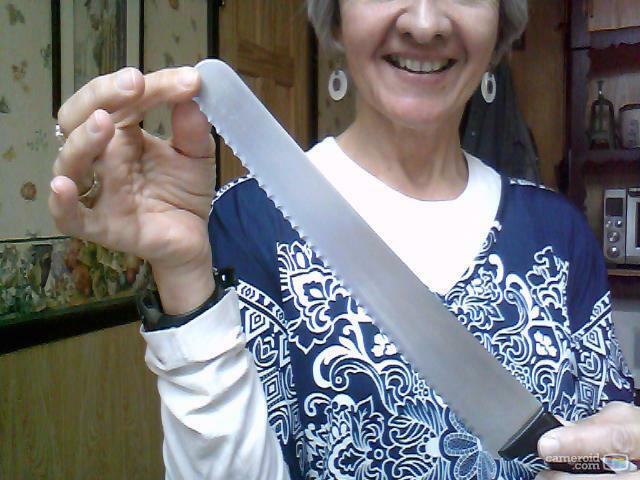 added a photo to the post, my beloved bread knife! Voce tambem se apaixonou pelas pimentas! E’ o segundo pacote que compro, acho um charme! the veggies are irresistible and the bowl is lovely! I have Rose Levy book, but I never baked from it. Your bread looks just perfect! What a splendid post, Sally! I’ve grown many an avocado plant but the celery thing is new to me. Very interesting. Did you know that hibiscus tea is known as sorrel in Jamaica and parts of the Caribbean? A factoid I learned on the Food Network, back when it was good…. Back when the Food Network was good… indeed, those were great times! 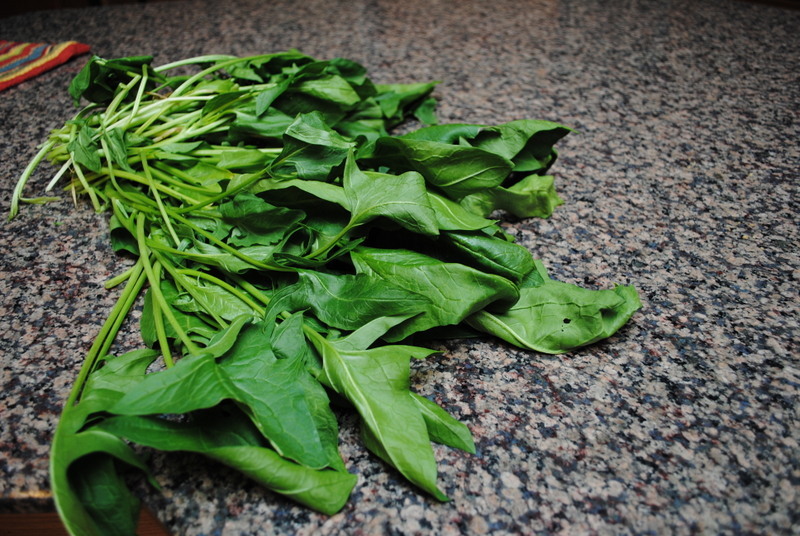 I didn’t know this factoid about sorrel – interesting! They were fun times, Sally. A network all about food was novel. Ah well, things change. First I intend to try my hand at the scallions. I use lots of chives or green onion tops, and it would be great to have them always available. That’s very kind of you, Cindy, but no thank you. We live in a heavily wooded property and there’s no good place for the garlic chives. For various reasons, I can’t keep potted plants in the house, plus I’ve had the experience of growing garlic chives. You’re very thoughtful and I do appreciate your sweet offer. but, I digress…. 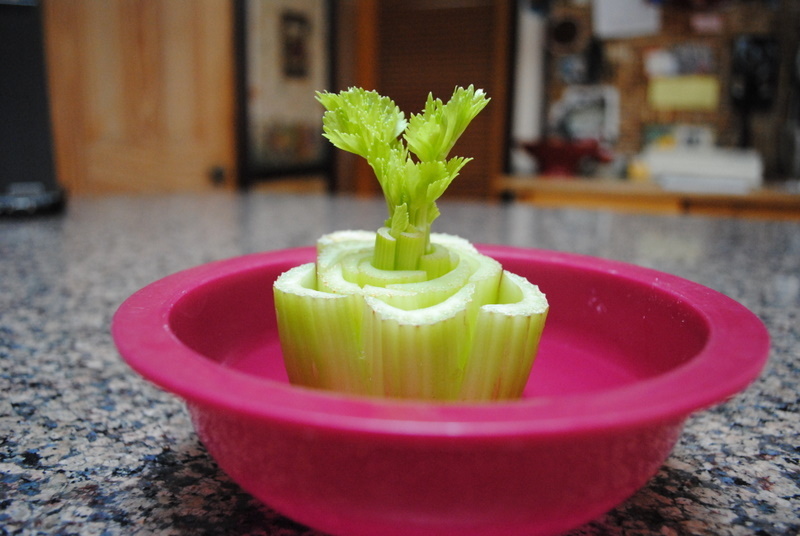 hope you try this celery trick, mine is a bit “paralyzed” outside. Maybe he (she?) heard about the blog post and got stage fright. Happy Easter Sally, Phil and those sweet dogs!! Your blog is one of my very favorites..and although I am a novice in the bread field a friend and I have tried some of your recipes..with success ..mostly!!! Barb, thank you so much! I know exactly how you feel about the “mostly” – breads are finicky creatures, and every once in a while a loaf will be disappointing. Sometimes it happens even with recipes that I use on a regular basis. Frustrating. So… you are not alone. I usually do not blog on culinary failures, but some are worth discussing…. I’ve got one set to go live on Monday… huge, huge, disappointment and a waste of special ingredients. I love The Bread Bible, have to look that one up. I also love the names Oscar and Buck! Greg, that is the fourth recipe I tried for a pain de mie, and our favorite. If you make it, consider reducing the yeast slightly, my dough rose like a rocket, I had to punch it down, and squeeze it in the pan after less than 1 hour of proofing. 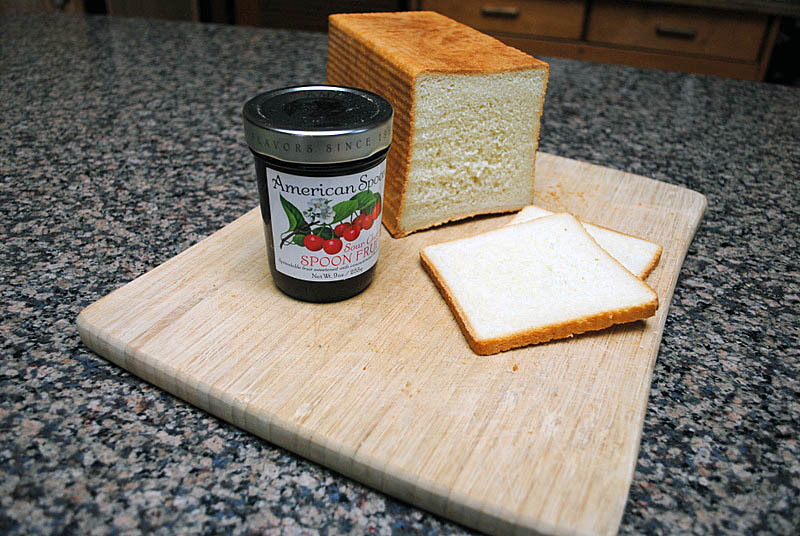 Very nice bread, though…. grata pelo seu super gentil comentário lá no pitangas. grata de coração. estou seriamente pensando em copiar este tipo de postagem. uma querida amiga esteve ai e me trouxe uns mimos, acho que vou iniciar um marcador “na minha cozinha”, do you mind?? I loved the tour of your kitchen Sally. You want to have the pups? 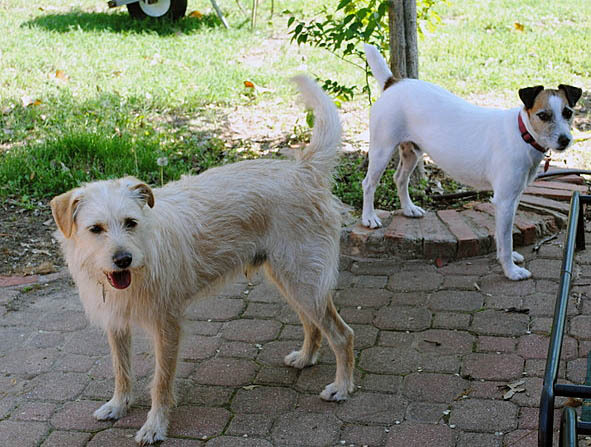 Give me your address, and you’ll be the proud owner of two “marvelous” specimens of the canine world. I am very sad to inform that the celery was murdered sometime between Saturday evening and Sunday afternoon. Yeah, they are sweet and happy, aren’t they? unfortunately, “the force” was not strong enough to face their paws and teeth. The two sweet darlings somehow managed to open the gate of our chicken wire enclosure (not sure HOW they did it, but… they did) and my celery is history. History. there was a lot of profanity involved, a lot of screaming, hand waving, and bad doggying around. Oooh, I love iced Hibiscous tea, so refreshing. Thanks for sharing, I love that baby celery, I’m going to give that a try. Have you tried the hibiscus flower tea you’ve bought? How was it? I’ve been curious about hibiscus tea and so I bought one from this: http://products.mercola.com/hibiscus-tea/ It’s a bit pricey though but I am loving it! yes, I did try, and also made a nice drink with it using ginger and vanilla. if you want to take a look. I don t do to any other kind, but I donlike it very much. Sadly it looks like the page for in link for the hibiscus drink has been taken down?